My last weekend in Cape Town was a very good weekend. Despite of missing out on seeing Plush perform, the weekend has been a very good ending of my return to Cape Town. Saturday, I went back to the SOS Village where I used to work twice a week. I’ve missed the kids so much and often look at the photos and videos that I have. It felt good to be back in the village. Everything felt familiar still. I went straight to the house of my ‘favourite kids’ and knocked on the door. Sara opened the door and gave me a reaction that went straight to my heart. She immediately recognised me and gave me the biggest hug ever… such a precious moment! It felt so good to catch up with them. A lot has happened during the last four years. Many kids have left the village and they all seem to do very well. It’s good to see that these kids are growing up and turning into great young adults. It was very good to see them, but also bittersweet to leave them again. After SOS, I went to Mzoli’s. This is a ‘restaurant’ in one of the townships in Cape Town. This is one where tourist can come for a true coloured South African dining experience. I’ve never been here before and wasn’t planning on going, but Jan, Erin and Emelio wanted me to experience it so I went along with them. Denzel & Claudine joined us as well. 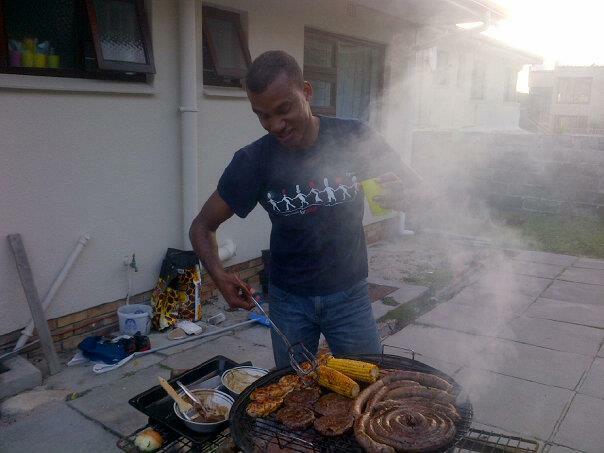 It is a place where you can buy meat next door and they will braai (South African term for barbeque) it for you. You find your seat in the area next to the ‘butcher’ and wait for the grilled meat. The place has kind of an underground scene with loud music. People bring their own drinks (and other food) with them. People eat meat there, but it’s also a meat market… You can tell that the men are looking around for ladies and the ladies are making sure that they’re seen by the men. I’m generalizing of course, but this gives you an idea of a coloured township hangout during weekends. I’m glad that I went to check the place out. I really liked it. It has a kind of ghetto groove to it, which I can appreciate. However, I do understand why Emelio doesn’t want us ‘white people’ to hang there during the evenings. We sat at the table with two other South African blokes who were drinking whiskey. They asked me if I wanted to try some and when have I ever turned alcohol down?!? ;-) Emelio warned me that accepting a drink at Mzoli’s is like accepting a proposal. He was kidding of course, but there is probably a sense of truth in it. I had nothing to worry about though, because I was sitting between my two personal bodyguards: Emelio & Denzel ;-) I made a video of Mzoli’s to give you an impression of the place, but the internet in South Africa is flippin’ slow (still a bit faster than four years ago though) and I don't have the patience to wait for it to upload. You’ll have to be satisfied with the pictures for now. Sunday was another good day. I went to the Nazarene church in Belhar. Claudine’s entire family is involved in the church. I haven’t seen all of them since I’m here so it was really good to see them again. The best thing was that my ‘big little brother’ Hadley was there as well. I was supposed to meet up with him last Thursday, but things came up so we had to postpone it to Sunday evening (which didn't happen in the end... don't even let me get started in this!). Seeing him at church was an extra very welcome surprise. After church, I went for lunch at Blouberg with Claudine & Emelio. 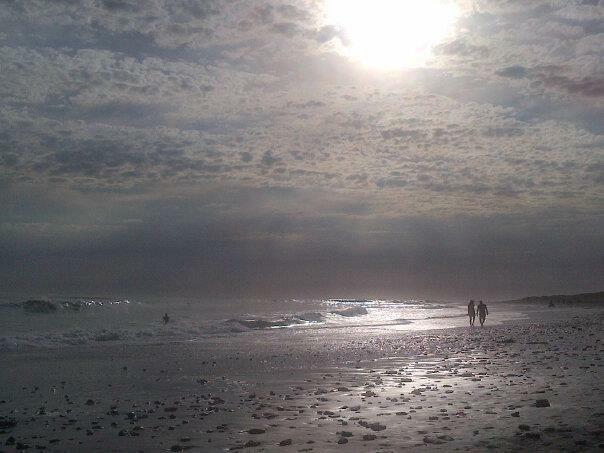 I knew that this was truly the last time that I would be at my favourite spot in Cape Town. It was a nice lunch. Emelio & Claudine shared a couple of new stories that I haven’t heard before, which was pretty cool. It was good to spend some more quality time with them, since our goodbye will come soon. After lunch, they dropped me off at Eden on the Bay so that I could have one last walk on the Blouberg beach. Gosh, I absolutely adore this place and I’m really sad to leave. I took my time to walk to the Blouberg house. The volunteers were having a bring & braai get-together and I was invited. I spend most of my time on the latch (very social, I know), just simply letting that gorgeous sight making its way to my brain one last time. I really don’t know if I ever return again, but we’ll see... only God knows and time will tell.